One of four sons, Henry Purcell revealed his musical skills at a very early age and joined the Chapel Royal in London as a boy chorister. Choristers were encouraged to develop their talents, and the eight-year-old Purcell duly obliged by composing a three-part song. "Sweet tyranness", which became a part of leading publisher Playford's "Can That Catch Can." After his voice broke, Purcell left the choir and was engaged as assistant to the Keeper of the King's Instruments. He progressed to supervision and tuning of the organ at Westminster Abbey (1674-8) and m 1677 replaced Matthew Locke as Composer-in-Ordinary (for violins). Two years later he succeeded John Blow as the Abbey's organist and shortly after married Frances Peters, with whom he settled in a house provided with the employment. From this stable domestic setting his compositions flowed. 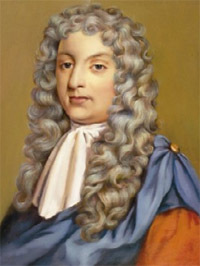 He wrote Latin anthems for the royal chapels, a book of trio sonatas, and other occasional pieces for the court; in all he catered with great versatility to the distinct musical differences between the royal court, public ceremonies at Westminster Abbey, and the theatre — the latter an increasing interest with Purcell. In 1685 he composed the anthem Rejoice in the Lord alway, known as the Bell anthem because of the "pealing" effect of its instrumental introduction. He had become the official organist to the Chapel Royal in 1682 and a year later was made Organ Maker and Keeper of the King's Instruments. Purcell was evidently well able to fulfil an administrative role while remaining a creative musician, for his court positions were reconfirmed by James II, and again in 1689 when William III and Mary took the throne. For the coronations of each, Purcell composed anthems and played on the Abbey organ. 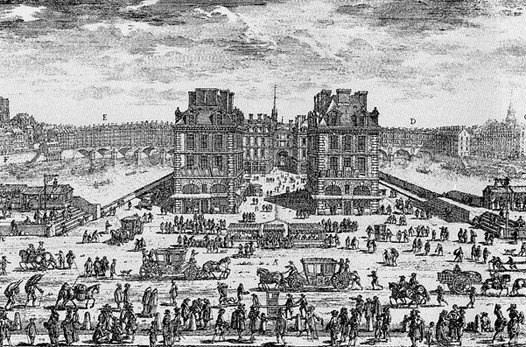 Purcell's affinity for the theatre led him to explore the medium of opera. In his thirties his efforts bore fruit with the 1689 premiere of his famous Dido and Aeneas,the first English opera of lasting significance. Although less than an hour long, it contains dances and choruses in many styles and spans a wide variety of human emotions from elation to despair. Its most famous aria is Dido's Lament, "When I am laid in earth", sung over a repeated bass line of filling semitones (the smallest interval between two notes used at that time), representing Dido's descent into the grave after her desertion by Aeneas. After Dido, Purcell wrote largely for the theatre. Between 1690 and 1695 he composed music for no fewer than 37 productions, including King Arthur in 1691 and The fairy queen in 1692. He continued to write pieces for royal occasions, and in 1 694 composed an ode, Come ye sons of art, away, for the birthday of Queen Mary, wife of William III. The piece includes the aria "Sound the trumpet", usually sung by a pair of duelling countertenors. When Queen Mary died of smallpox late in 1694, Purcell wrote a series of pieces for her funeral, held in Westminster Abbey in March 1695. The Funeral music for Queen Mary comprises an anthem, four profoundly bleak pieces for trumpets and trombones, and two elegies. That same year some of the music was used at Purcell's own funeral. His death at the early age of 36 was an immense loss to England and the musical world. His funeral, like Queen Mary's, was held at Westminster Abbey, with both the Chapel Royal choir and the Abbey choir in attendance, and he was laid to rest close by the organ at Westminster Abbey that he had spent years maintaining. Rejoice in the Lord alway, "The bel anthem"